Semi-detached house situated in a quiet area, 100m from the shuttle bus stop going to the "Télévillage" (open-air cable car) linking to the resort. 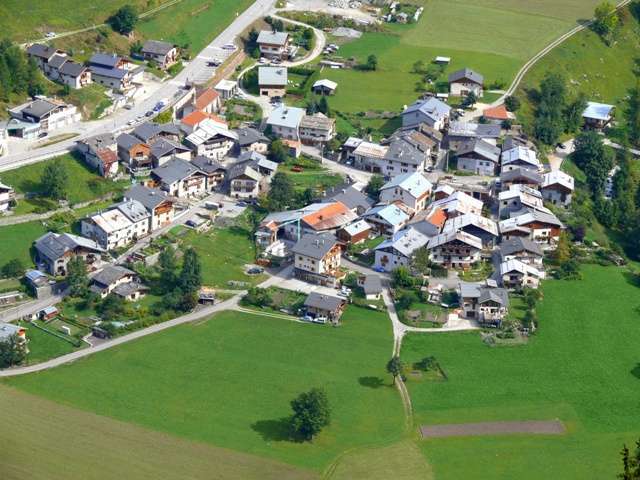 The chalet is 500m from Peisey-village where you will find shops. - The higher part can accommdate 10 persons. 5 Double bedrooms, 3 rooms have en-suite facilities and 2 rooms share a bathroom. Spacious and clear lounge and dining area just under the old frame, log-burner, widescreen TV, DVD, Playstation 3, WIFI internet. View above the roofs. 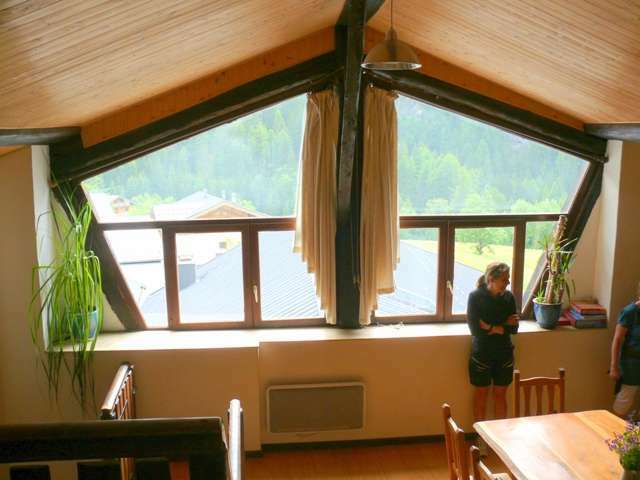 The chalet is catered and cleaned by the family who will welcome you. 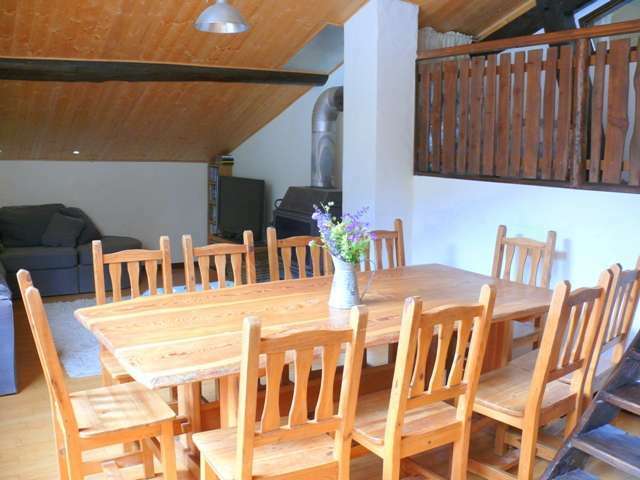 - The lower part of the house has an apartment which can accommodate 8 persons. Website "The Goat Shed. (B&B & half board)10 beds"